Many years ago I traveled with my mother to Sarawak, the Malaysian part of Borneo. On that trip I learned a little about the history of Sarawak. For starters, it was ruled by the White Rajahs, a long line of British men by the surname of Brooke, for over 100 years. Sarawak also has a sizable Chinese population. So I was beyond thrilled to learn that Elsie Sze has recently published a novel about this fascinating place and its turbulent history. It feels like I’ve been waiting two decades for a novel like this! 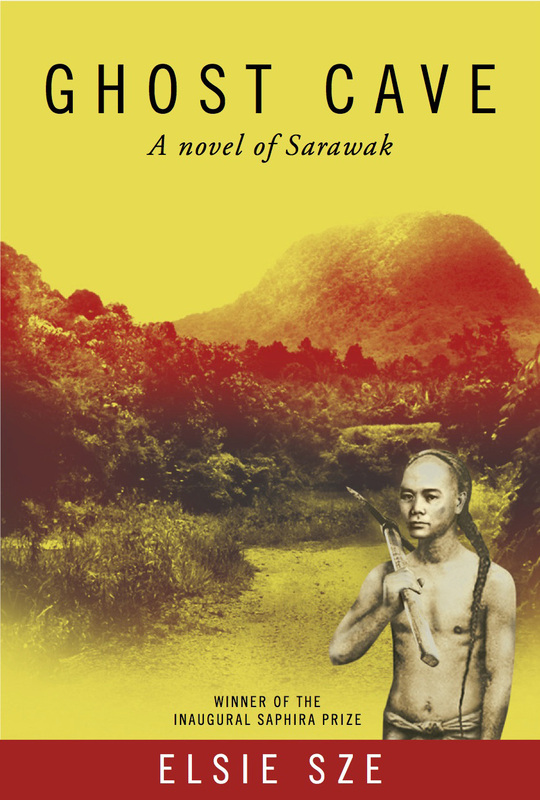 Ghost Cave: a novel of Sarawak (Hong Kong Women in Publishing Society, 2014) works so well for a number of reasons. First, it includes a thrilling story of forbidden love. Ah Min arrives in Sarawak from southern China in the mid-1800s. He plans to stay for five years and return to China after making his fortune. Love and tragedy would get in the way before he sees his family in China again. The other part of the story involves Ka Ming, a descendant of Ah Min, who was a Communist rebel in 1965 Sarawak. Ka Ming also experiences loss and love in Borneo, which will change his life forever. The two story lines are tied together through Ka Ming’s granddaughter, Therese, who is gathering her family history for her journalism program in Toronto. Therese travels to Sarawak to visit her grandfather Ka Ming to interview him about his years as a guerilla. But even she is not prepared for the harrowing family history her grandfather eventually divulges. Before I started the book, I thought I would be more drawn to the 1965 Communist guerilla story and how Therese travels to Sarawak to interview her grandfather about his fascinating past. But I soon found that I was equally–if not more–intrigued by Ah Min’s story in the nineteenth century. Elsie Sze does such a fantastic job of describing the colorful setting of Sarawak: the jungle, the river, the longhouses, the ghost cave, and the tea shop in town. 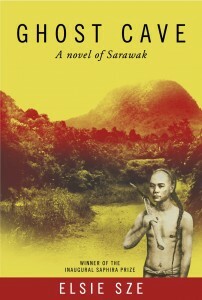 If you are not familiar with the history of Sarawak, this book will open a new world. And if you already knew about the White Rajah, the Chinese uprising in the 1800s, and the Communist guerillas in the 1960s, you will love and appreciate this book for how it ties together these two important parts of Sarawak history. Check back here on May 1st for Elsie’s guest post about visiting her family in Sarawak to research this story!